Like to hack games? Not you can get benefited using games hacked by different game hacking experts on web. We have compiled an exclusive list of tools and tips for game hacks. Everyday thousands on online gamers get games hacked for fun, now you can also do it easily. Cheating is simply irresistible when it comes to online gaming. As online gamer, you want to destroy all your enemies or quickly move on to the higher stages, by any means. In this article, you will get some wicked cheats and tips that will take your gaming experience to the next level. 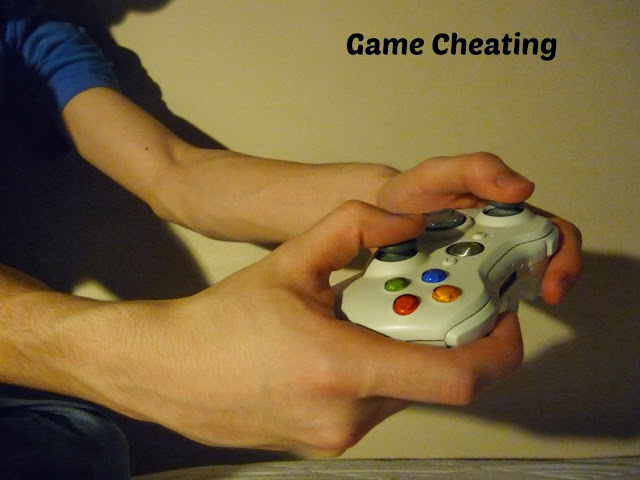 Cheating, as you probably know, is considered an unethical practical in any online game. As a matter of fact, hacking game at any online gaming site can get your account closed and banned. Not to mention, it is rather annoying. There are some days, however, in which you want to fire up the competition or pull a prank against your allies and enemies. Oftentimes, you want everything to get done quickly. In these cases, cheating becomes a viable and appealing option. There are a lot of ways to hack games online. Here are some quick tips that will bolster your character’s attributes in no time. Well, if you really want to take your hacking in online gaming to the next level, you should invest in a superior game hacking tool like Game Genie. Basically, Game Genie is a device that allows you to manipulate the codes in your online game in many ways that developers and original programmers did not intend. With game genie, you get to own special items/ weapons, activate higher and unreleased stages, and decipher secrets of the game. Moreover, this device gives you codes to debug access menus that were used by the game’s original programmers. Another great tool you can use for game hacks online is Cheat Engine. With this tool, you get a chance to create your own version of your online game. In other words, this software program allows you to modify some of the online game’s parameters, to adjust them based on your preferences. If, for instance, you want to reduce the difficulty of a particular level, Cheat Engine will help you make the necessary adjustments for that level. As a hacking game software program, Cheat Engines allows you to cheat in a wide array of online games. Some popular examples of games hacked using this engine are Jetpack Joyride Online, Kingdom Rush Frontiers, Zynga Poker, and many more. Online server games like Farmville make cheating quite difficult, but not impossible. In this case, you can fake your scores and modify the data sent by hi-jacking the communication between the server and actual game. There are a lot of software programs and web plug-ins that you can use to do this, including WebScarab and Live HTTP Headers. Attacking the server-to-game communication is fairly easy, and can be done even if you have little to no knowledge in hacking and programming. Speedhacks are hacking game methods mainly used to change the speed of game play in an online game. If you do not have great agility and reflexes, Speedhacks could help you prevent obstacles on racing and running games like Temple Run. Speedhacks are very easy, and can be done using a few free plugins and tools. An online game that operates through Adobe Flash may be easily deciphered in order to modify and analyze its mechanics. As you change the game’s mechanics, you get endless opportunities to make the game a lot simpler to play. This method, however, is not applicable to beginners in programming and hacking. To apply this hacking games method, you need to have a solid grasp in programming. Not to mention, you need to use a slew of sophisticated tools and plug-ins. Online games, especially the Flash ones, are loaded to your system’s memory in which all the gameplay’s data are stored. With a few tools, you can easily access the game’s memory, and make the gameplay a lot simpler and easier. As a matter of fact, you can increase your character’s life from five to a hundred with this hacking method. Many online expert hackers hack games using this technique. These are the ways and tools you need to successfully cheat in online games. Use these tips, and you will see a vast improvement in your character’s attributes and levels in a very short amount of time. If you have ideas about game cheats that you want to share, please let your voice be heard, and share it to through the comments section below. Enjoy your games! Jimmy R. is an avid writer who loves sharing his ideas to the world. He writes about health, technology, basically everything and anything under the sun.